This is the second in a 3-part series about hitches. 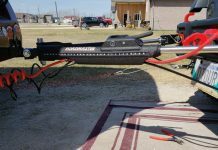 Make sure you read the first installment about B&W fifth wheel hitch offerings. B&W hitches have a cult-like following among their fan base. 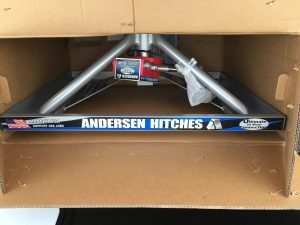 Another hitch with an equal cult-like following is the Andersen Ultimate Fifth Wheel Connection. The Andersen is incredibly polarizing, those who love it LOVE it; those who don’t like it, LOATH it. What’s interesting is, I’ve yet to read an actual first-hand account of someone who used it who loathed it. Everyone who has negatives to say are people who won’t use it. Disclaimer: Anderesen provided me a hitch for review and specifically, for a head-to-head comparison vs. the B&W Companion (which will be part 3, coming soon). 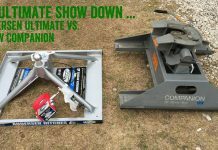 So, let’s try to talk the PROS and CONS of the Andersen Ultimate Fifth Wheel Connection. 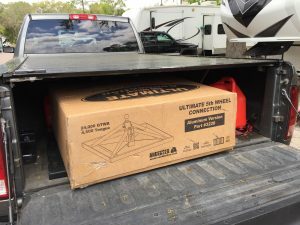 First, what is the Andersen Ultimate Fifth Wheel Connection? 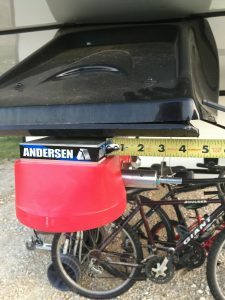 The Andersen takes the concept of a gooseneck (with a ball and coupler connection) but raises it up to avoid the extra stress that a gooseneck conversion puts onto the trailer. 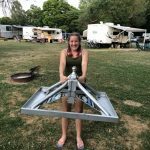 They accomplish this by putting the ball on top of a pyramid design which raises it to the height that a traditional fifth wheel expects. 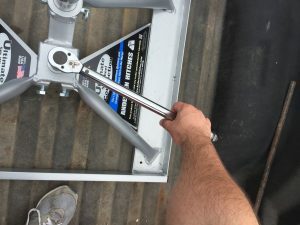 Then because it is a ball connection, you install an adapter onto the fifth wheel’s pinbox. This turns the pin into a female coupler. According to Andersen, because it’s classified as a fifth wheel connection, safety chains are not required like you would need on a gooseneck trailer. That said, my concern is that I’d be on some backroad of Nowhere, America dealing with a law enforcement officer who doesn’t necessarily agree with their claim. I chose to get the safety chains. It really is lightweight, but is that so important? Let’s get the elephant in the room out-of-the-way, yes it’s lightweight. Like crazy lightweight at under 40 lbs. In fact, when you ask people about the Andersen, one of the first things they mention is how light it is. 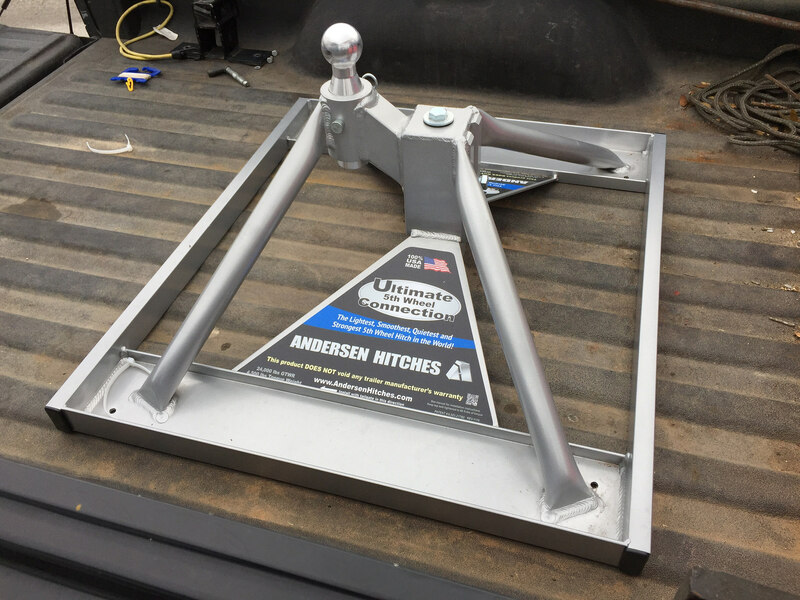 BUT – and let me be clear, THE WEIGHT OF THE HITCH IS ONE OF THE LAST CRITERIA I LOOK AT AND ONE OF THE LEAST IMPORTANT FEATURES. So it’s light, but is it good? I’ve had my Andersen for about 4 months now and have traveled about 2,500 miles with it. I started in Florida, went to Branson MO, then onto Pennsylvania, and finally to Ohio … meandering the whole way. I feel like I’ve given it a good test drive. 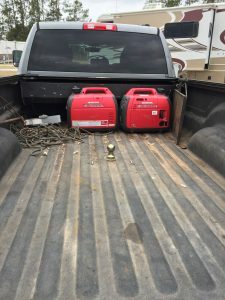 My biggest fear was the hassle of hitching a gooseneck ball. 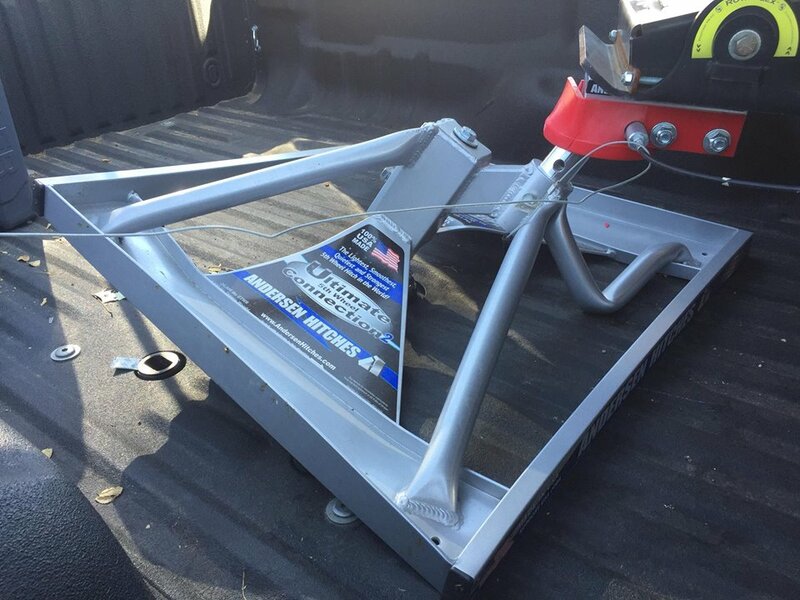 My experience with bumper pull trailers was nothing short of abysmal. Off to the side, not far enough back, too far, wrong side, the ball wouldn’t seat, a little this, a little that. ARGH! With the elevated gooseneck ball and kingpin, I could see everything and hitching was easy. Hitching is solid. You’re either on or off, there is no middle ground. And it eliminates the need for a pull test. For #1, I did have a little bit of binding with the pull handle for the latch. I’m not sure if my cable has gotten kinked or what, but I did experience a couple instances of difficulty. This also could be my fault in that I haven’t properly mounted the pull handle (using the provided self-drilling screws) because I wasn’t sure which orientation I wanted to keep the coupler adapter. For #2, this has been painless every time. 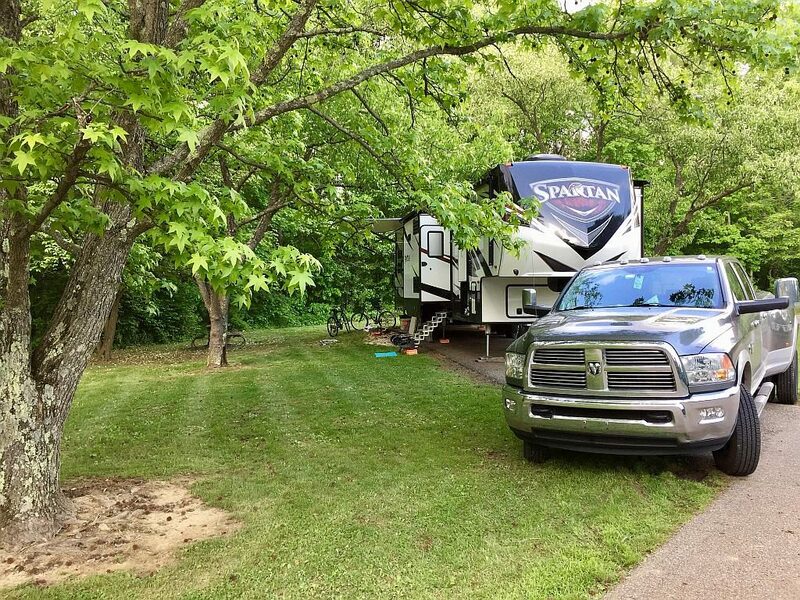 My only surprise in all of it is how much the truck tends to move forward after the camper lifts off. We see a good 3-4″ of movement. It hasn’t caused problems, just weird. From solid hitching and the feel of the camper being towed behind me, I’ll give this an A+. 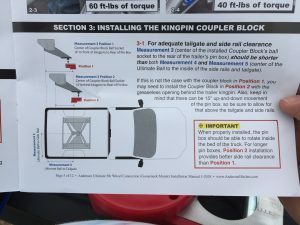 I honestly am not crazy about the number of reports I’ve read about the hitch bending/buckling. The good news is, all but one of the reports that I’ve read have all been minor and Andersen replaces the hitch seemingly without question (based on a 1st hand experience from an acquaintance and reading forum/group posts about them). In fact, a friend tagged me in a post just a couple of weeks ago on the Fulltime Families Facebook group of someone whose Andersen started to bend on the front legs. In my use, pulling a heavy camper (21k lbs. and 3,400 lbs. pin weight), I haven’t noticed any deflection. Installation was pretty straight forward. 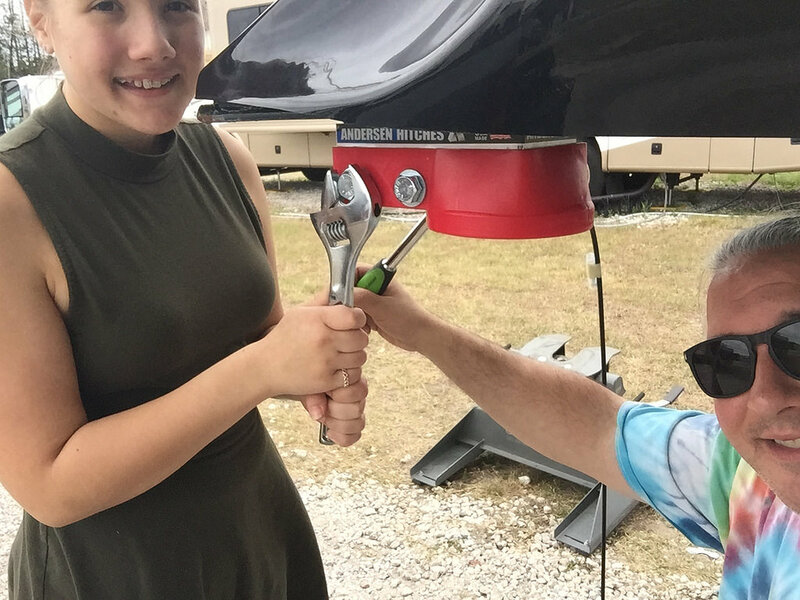 I had the hitch delivered to an RV park in Florida. They weren’t crazy about the size of the box showing up, but it was easy to carry out of their office and to my truck! The hitch comes quite well protected in the box. Start with an empty truck bed with the gooseneck ball installed. In my case, this is a matter of finding my B&W Turnoverball gooseneck ball, dropping it into the hole, and then securing it with a pin. 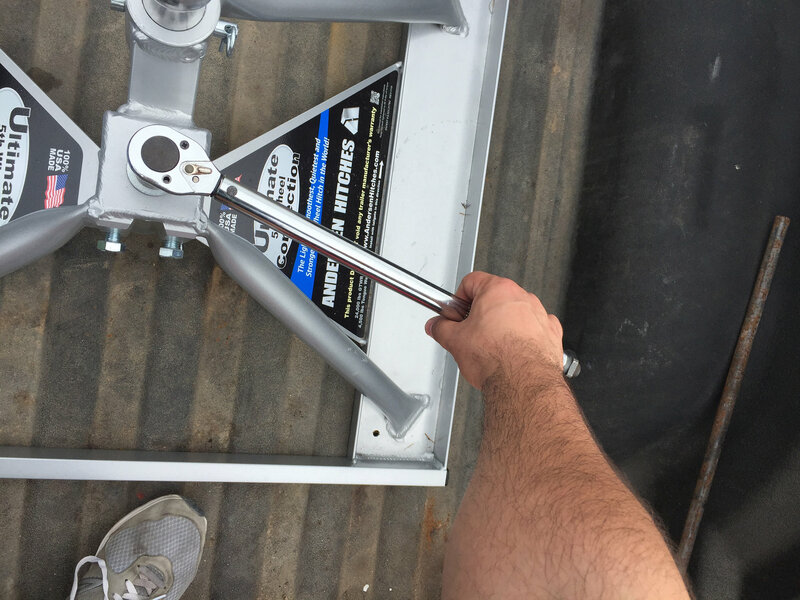 Next, you place the hitch into place and tighten a few bolts to specific torque specs. 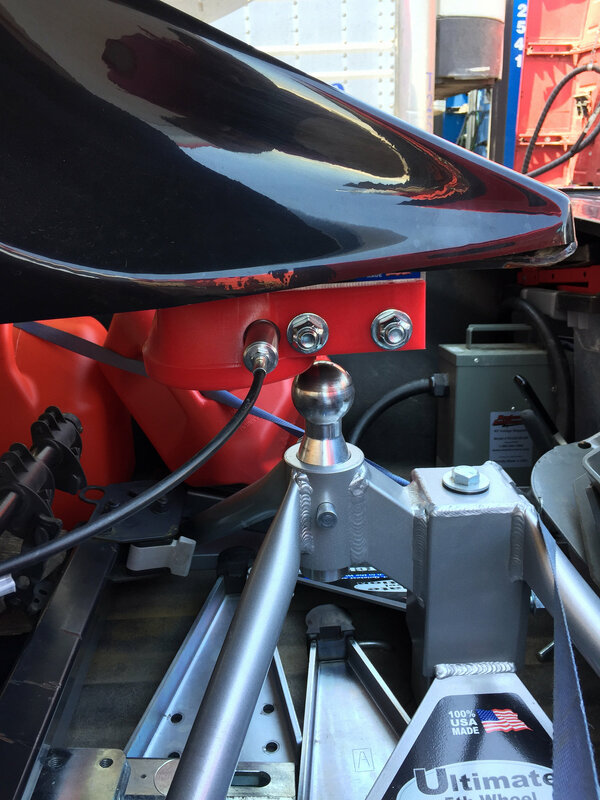 Lastly, you install the kingpin to gooseneck coupler adapter on the fifth wheel. Fortunately, I had a super awesome helper (aka my daughter). 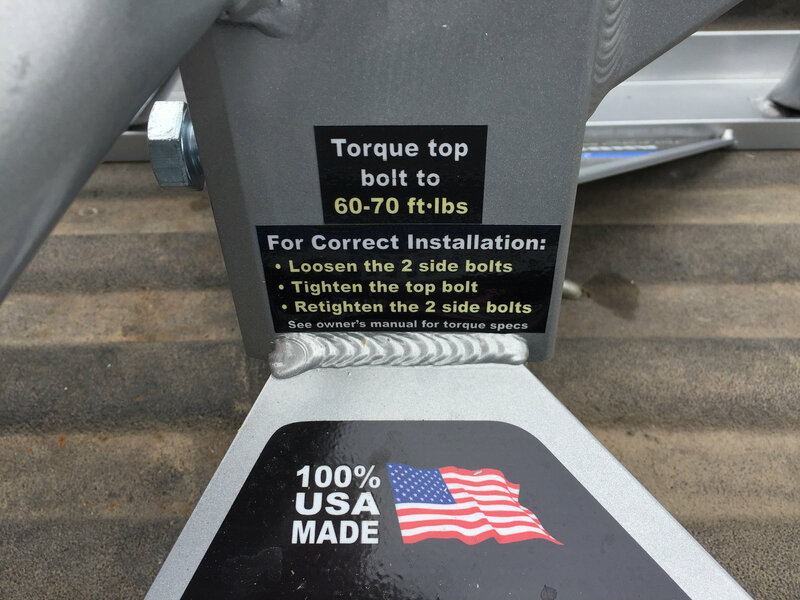 My only beef with the installation comes with this last step- the gooseneck coupler requires a long ball-end hex bit socket. 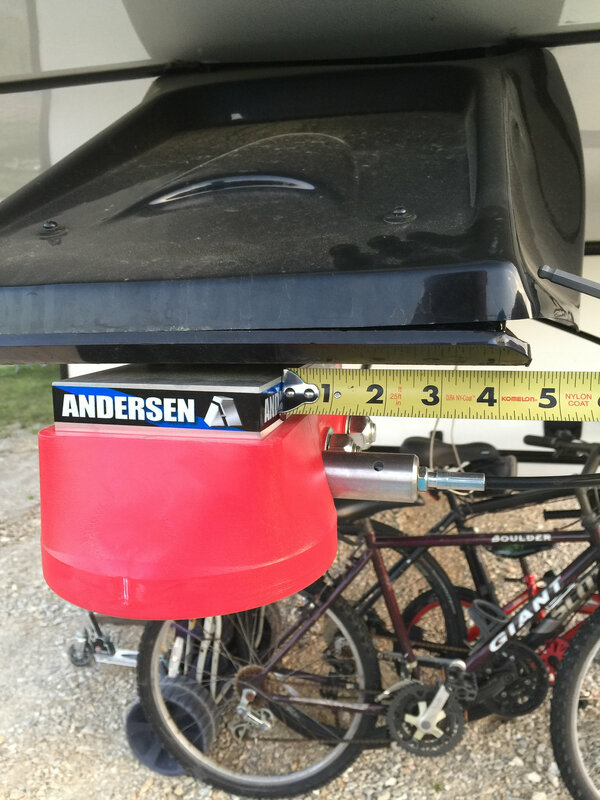 This is literally something that I have never had a need for nor do I see that I’ll have a need for it again (except for removing/reinstalling the hitch). Being a fulltimer, weight and tool bag space is precious. 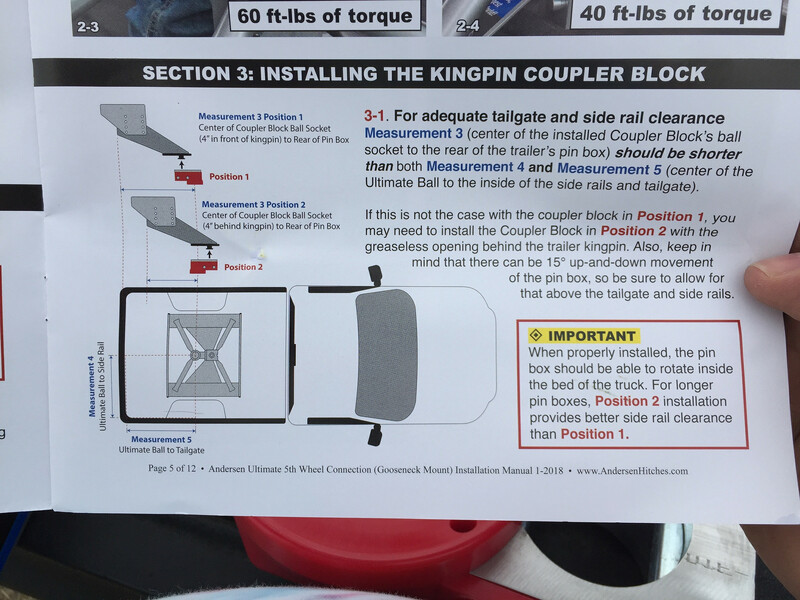 The installation manual does a good job helping you define measurements to make sure the kingpin won’t contact the bed rails and whatnot. With my Retrax Pro and the kingpin coupler adapter reversed (where the coupler is ahead of the kingpin), I did have a couple of instances where the kingpin made contact. 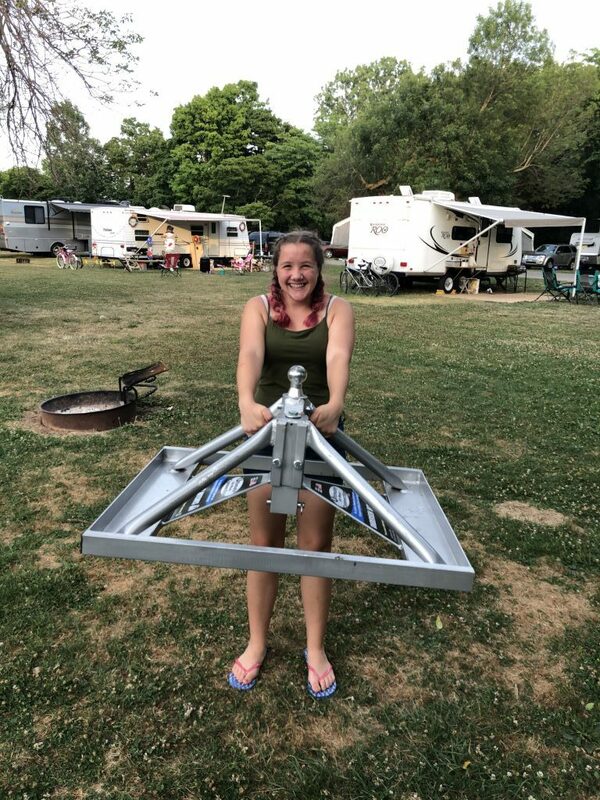 I turned it around because I had to get uncomfortably close to the camper with the tailgate in the lowered position to get hitched up (like 3″ close). At the end of the day, I would recommend the Andersen to a friend. It’s a good and safe hitch that the company stands behind. Issues are responded to quickly and to the customer’s satisfaction in each case that I’ve seen.